The dollar is higher versus most major pairs as it continues to surge in the aftermath of the 2016 presidential election. The shock victory by Donald Trump is being taken in stride by the market after the initial recalibration of democratic win expectations. The dollar had been higher for most of the year given the Fed’s insistence a rate hike is coming. The comments by president-elect Trump on spurring growth by ending the austerity that has been prevalent in the developed world following the 2008 crisis has boosted the currency and global stocks higher. Inflation has replaced employment as the most important topic for the U.S. Federal Reserve on its decision to raise interest rates. 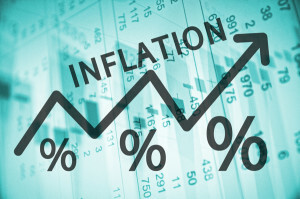 Low inflation is a malady for developed economies that are fighting deflation and one of the reasons some Fed members are hesitant to raise rates. Gold was used as a safe haven during the most turbulent times of the election but it has given back gains as risk appetite has returned. U.S. inflation will take center stage next week with the release of the Consumer Price Index (CPI) on Thursday, November 17 at 8:30 am EST. One of the biggest questions from the market after the triumph of the republican candidate in the elections is the fate of Fed Chair Janet Yellen. Her term as head of the central bank does not end until 2018 and her term as regional governor lasts until 2024 but historically Chairs usually step down if they are removed. Donald Trump was critical of the Fed and is anticipated he will appoint a different leader of the central bank. Chair Yellen will testify in front of the Joint Economic Committee about the economic outlook of the U.S. economy on Thursday, November 17 at 10:00 am EST. The EUR/USD lost 2.29 in the aftermath of the U.S. elections. The single currency is trading at 1.0860 following the shocking end to a close election that confounded pundits and pollsters alike. Investors adapted to changing political conditions as markets effectively priced in a new direction for the White House. The USD/MXN gained 8.91 percent in the last week. The pair was one of the most volatile as the election day unfolded given the strong anti-Mexican comments by eventual president-elect Donald Trump. The market had used the peso as a proxy to emerging markets due to its liquidity but also for its high correlation to Trump’s campaign standing. The currency pair is trading at 20.6693 after touching historic lows above the 21 price level. It is unclear if Trump intends to follow through on his most outrageous claims, but until there is an official and clear path the next four years do not favor Mexican imports into the United States. The fact that 80 percent Mexican exports are destined for its North American partner has put further downward pressure on the peso. It is within President-elect Trump’s powers to renegotiate the free trade agreement with Mexico and Canada as he heavily criticized the deal when on the campaign trail. The fact that Senator Clinton’s husband approved the deal made it a perfect target as he also took aim at other deals signed or presented by Democratic presidents like the TPP. The Canadian dollar fell to an 8 month low as the resurgence of the USD continues. The dollar had been under intense downward pressure in the final stretch of the U.S. presidential elections as political risk was sky high after scandals and FBI investigations affected the polls. The end of the electoral process brought with it certainty as there was a president-elect, which has boosted the USD across the board, but also uncertainty as the eventual victor is full of unknowns which has led to speculation about his policies down the line. Trade and interest rates are the first two factors that have depreciated the loonie. As with the Mexican economy, 75 percent of Canadian exports are purchased by the United States. The anti-trade rhetoric that would favor made in America goods and impose tariffs on foreign products puts Canadian exporters at a huge disadvantage. Trump’s reflationary policies intended to boost the growth of the economy would lead to higher interest rates. The USD had already built strength based on interest rate divergence as the Fed is slowly but surely rising rates to the tune of 25 basis points per year (if they hike in December as its heavily anticipated they will). Fiscal stimulus and a more protectionist trade agenda will boost inflation forcing the U.S. Federal Reserve to raise rates at a faster clip growing the gap between Canadian and American interest rates. The Bank of Canada (BoC) cut rates twice in 2015, but stood pat in 2016. A more active Fed would force the BoC to react to the impacts of higher American inflation, blocks to Canadian exports to its biggest market and a lower currency due to the interest rate differential.